Looking for a product by a specific brand or want to browse your favorite manufacturer's product list? Simply select one of Discount Home Automation's prominent manufacturers listed here. 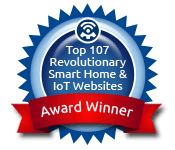 You will find more than 100 of the industry's most recognized smart home companies, including X10, Simply Automated, Leviton, Skylink, OEM Systems, NuTone, On-Q/Legrand and more. ADI \ Advanced Dynamics, Inc.
SAI \ Simply Automated, Inc.